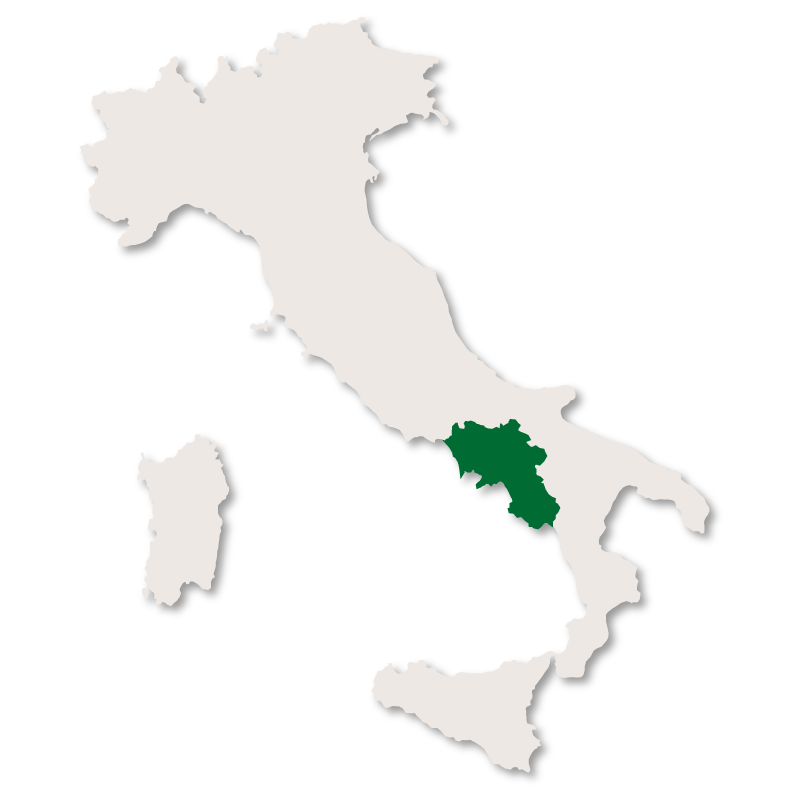 The province of Caserta has an area of 2,639 sq.km and borders the provinces of Benevento to the east and Napoli to the south whilst its northern border touches the regions of Lazio and Molise and the western border runs along the coastline. It is a mountainous region in the north where the Matese mountains (part of the Apennines) stretch across its borders. These lead to undulating hill and then extensive, fertile plains. The highest peak is Monte Miletto at 2,050 metres and the area around it contains many caves and lakes, the most well known being Lago del Matese. On the border with Lazio there is an exctinct volcano called Roccamonfina. The Volturno river runs right through the middle of the province surrounded on both sides by vineyards, olive groves and orchards. The coastline is stunning with sandy beaches, the turquoise water of the Tyrrhenian sea and many rocky coves with a backdrop of pine forests. 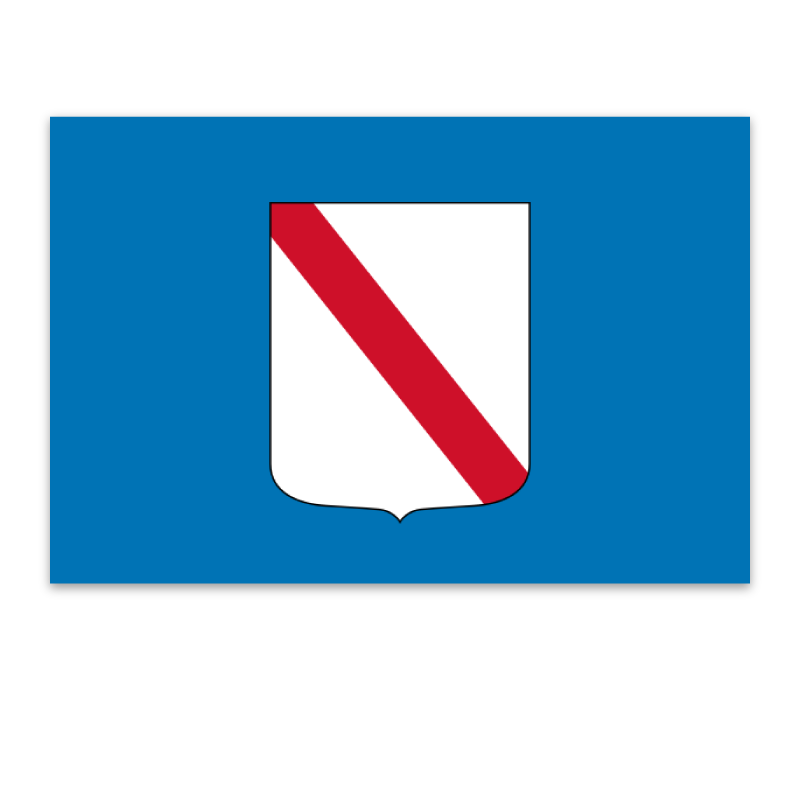 Historically, the province of Caserta during the times of the Kingdom of Naples and the Kingdom of the Two Sicilies, was one of the most important areas in southern Italy. Originally the capital of the province was Capua but in 1818 the city of Caserta became the capital instead. 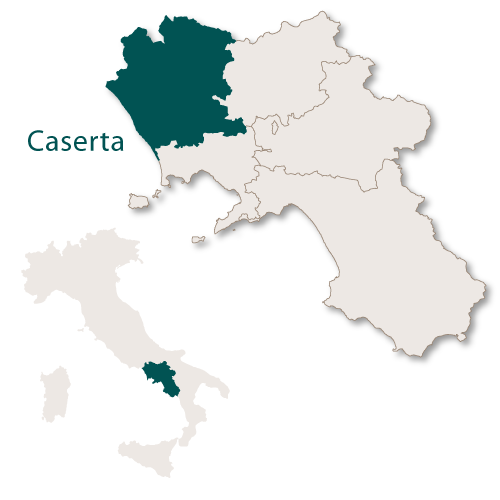 Caserta is the capital city of the province with the same name. 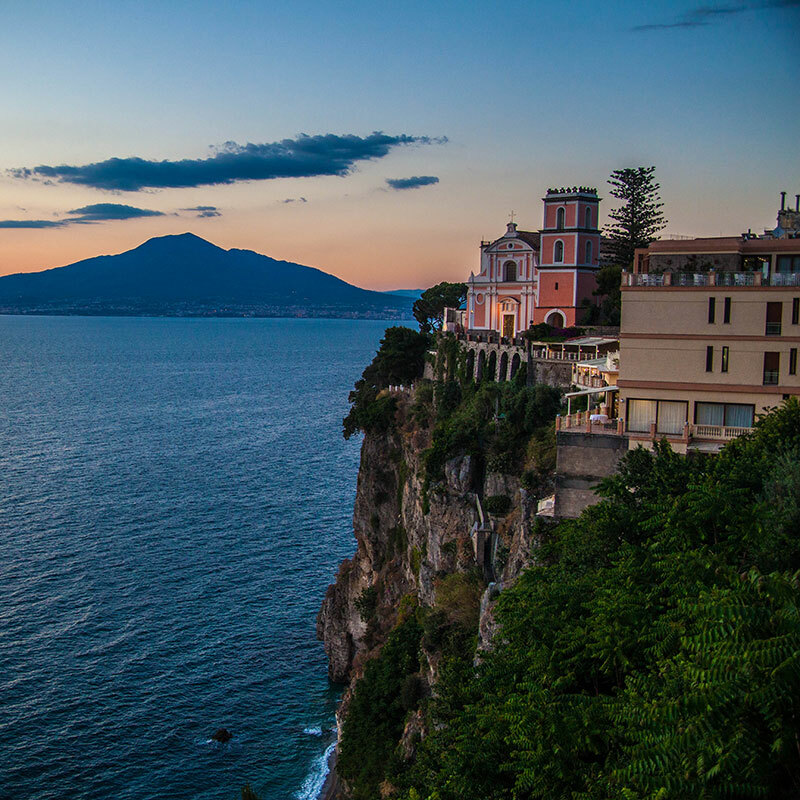 The city is best known for the magnificent Palace of Caserta. 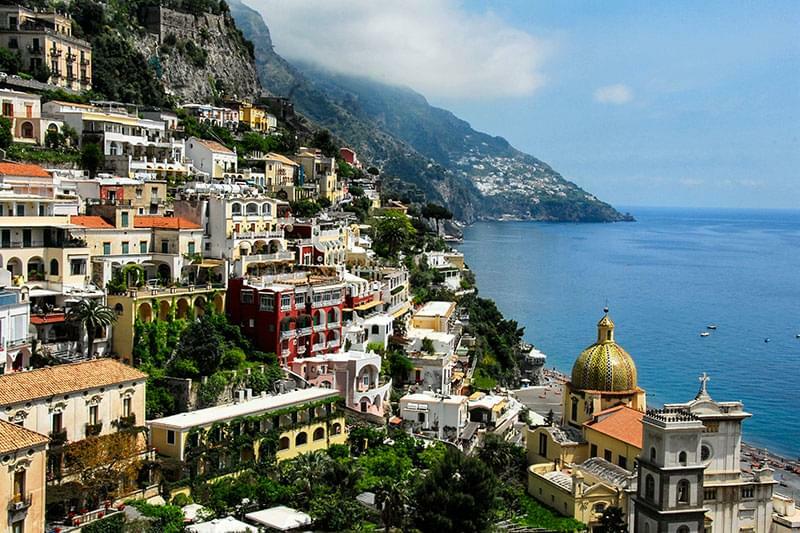 It is 40km north of Naples and easily accessible by road and rail. The Palazzo Vecchio (Old Palace) which was built in the 14th century and later renovated and used as a residence for the royal court. The 18th century Aqueduct of Vanvitelli which supplies water from the Taburno and the springs of Fizzo. It carries the water along a very twisty 38km route, most of which is underground. Piazza Vanvitelli is the main square and is lined with all the important and official buildings as well as hotels, shops, banks, restaurants and bars. 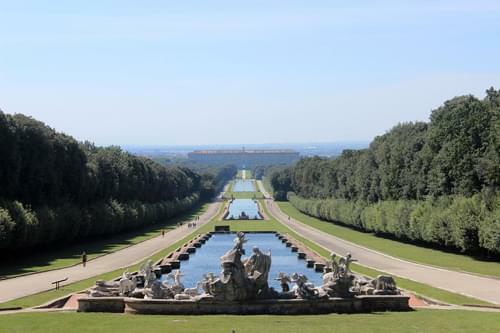 It is a pleasant, large, green square and in the centre of it there is a statue of Luigi Vanvitelli who was the engineer and architect who designed the Palace of Caserta. Piazza Matteotti (also know as Piazza Mercato or Market Square) is one of the oldest in the city and there is a market held there every day. Once the capital city of the province of Caserta, the historical town of Capua is one of the prettiest in the area. There are some remains of Roman baths and a theatre within the confines of the town. While there are no pre-Roman remains or ruins in the town itself there are plenty around all of its borders. There are some cemeteries dating back as far as the 5th century with tombs of various shapes, chambers and frescoes on the walls. Many objects have been found within the tombs including bronze vases, clay vessels and some inscribed terracotta tablets. In the Village of Santa Maria Capua Vetere there is a huge amphitheatre which was built in the time of Augustus. It was originally surrounded by eighty, four storey arches but only two remain now. The interior is very well preserved with the arena measuring 75 metres by 45 metres and a network of subterranean passages beneath it. In nearby Sant Angelo you will find the impressive 11th century Benedectine Basilica of Sant'Angelo in Formis. 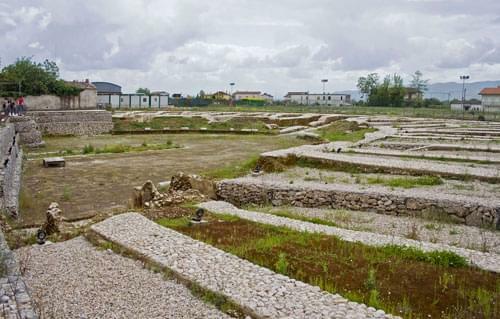 It was built on top of the site of a former Roman temple, parts of which were incorporated into the current building. Located in the fertile Volturno valley Alife is a thriving community with plenty of work due to the large scale agricultural production. The Castle whose records date back to 1127 but it is generally believed that it is older and perhaps even exsisted before the Lombards. Alife Cathedral which was built in 1132 but had to be mostly rebuilt in 1688 after a severe earthquakes in that year as well as in 1456. It was refurbished in the Baroque style and fully reopened in 1692. The Roman Amphitheatre which is the fourth largest in Italy, measuring 48 metres by 38 metres. The excavation is not complete and it is still partially covered by earth. The Roman Cryptoporticum wich is a very well preserved arcade more than one hundred metres in length. The Mausoleum of Acilii Glabriones which is just outside the city walls. Lying about 12km northeast of Capua this small town has the remains of some Cyclopean walls, a Lombard castle and a large Roman cistern under the main square which still provides an excellent water supply today. Surrounded by vineyards, olive groves and dense vegetation this charming village has become a popular tourist destination. It sits on a hill with the highest point being the castle with the village forming a ring around it. 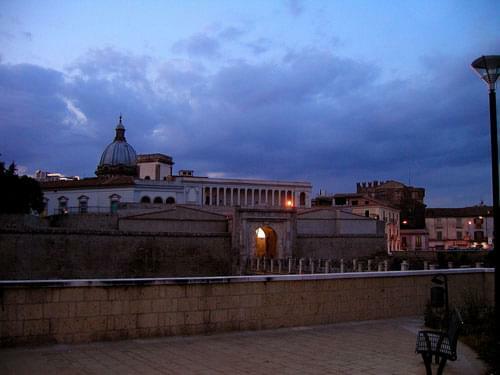 As well as the castle there are two palaces, Aldi Palace and Abbamondi Palace, and the church of Sant'Angelo (1326). This town lies at the base of the Tifata hills on top of which sit a medieval castle with high towers and the Church of San Michele. Within the town there are several beautiful old churches with many of them containing important works of art. There are also two good museums, Museo Civico and Museo Archeologico. 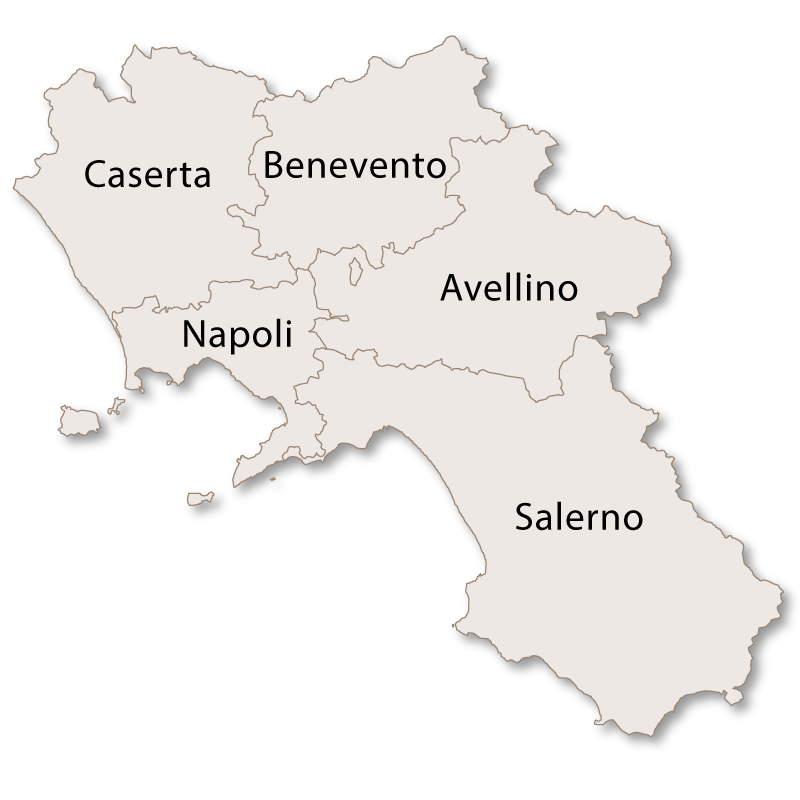 Aversa is located on the Mediterranean coast, not far from Naples and only 10 miles from Caserta. It is another agricultural centre in this fertile area with a large agricultural production. 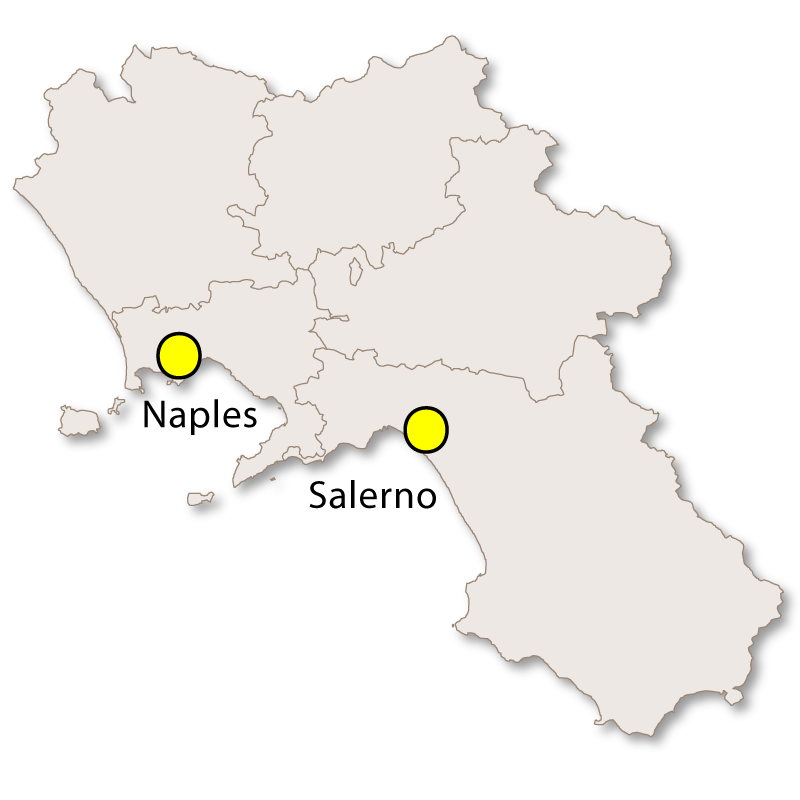 Aversa is also famous for its production of wine and buffalo mozzarella. The Aversa DOC white and sparkling white wine made from the Asprinio grape both come from here. The town is also home to a faculty of Architecture and Engineering of the University of Naples. The cathedral, which is a Romanesque Duomo, is dedicated to St. Paul and has an imposing octagonal dome. The Benedictine Abbey of San Lorenzo which was built in the 10th century and has a beautiful Renaissance cloister. The Church of Santa Maria a Piazza which was built in the 10th century and contians frescoes from the school of Giotto. The Baroque Church of San Francesco delle Monache. The Aragonese Castle which now houses the training facility for the Italian Penitentiary Police. Lying in the shadow of the extinct volcano of Roccamonfina the village is surrounded by dense forests of sweet chestnut trees. It is well known for the fossil of human footprints (Ciampate del Diavolo) which were found here. The main attraction is the Sanctuary di Maria Santissima dei Lattani which was built in 1430 and then extended a few years later. The façade has a large portico which still has the original wooden door from 1507. This town, once the capital of the Oscan tribe, has many interesting sites to visit. The Roman theatre which dates from the 2nd century BC. With a diameter of 85 metres it was once one of the greatest in Italy. The Cathedral which was built between 1050 and 1116 and incorporates some Corinthian columns which were taken from the ruins of the old town. The castle which was built in the 15th century by adding to and using the remains of a 4th century BC fortress. During the Bourbon era the castle was used as a prison. The Franciscan convent of St. Anthony which was built in 1427. There are also two interesting churches, S. Peter in Aquariis and the Chuch of St. Benedict.